With a click of a button, over 6,000 Detroit properties were purchased Tuesday for just over $500 apiece. The bidding on this “blight bundle” marked the finale of an auction process whose outcome surprised local government which had scripted a much different ending. The properties were up for auction because of a Michigan state law that mandates foreclosure for all properties owing three years or more of back taxes. In Wayne County, that amounted to 24,000 properties this year alone. The auction happened in two phases: In Round 1, all properties are available for a starting price equal to the amount owed in back taxes. Unsold properties make it into Round 2, where the starting price is only $500. In other words, Round 1 is where the county makes its money back – and Round 2 is where the county takes what it can get. Local government can’t change these rules, but it can manipulate them to its own advantage. 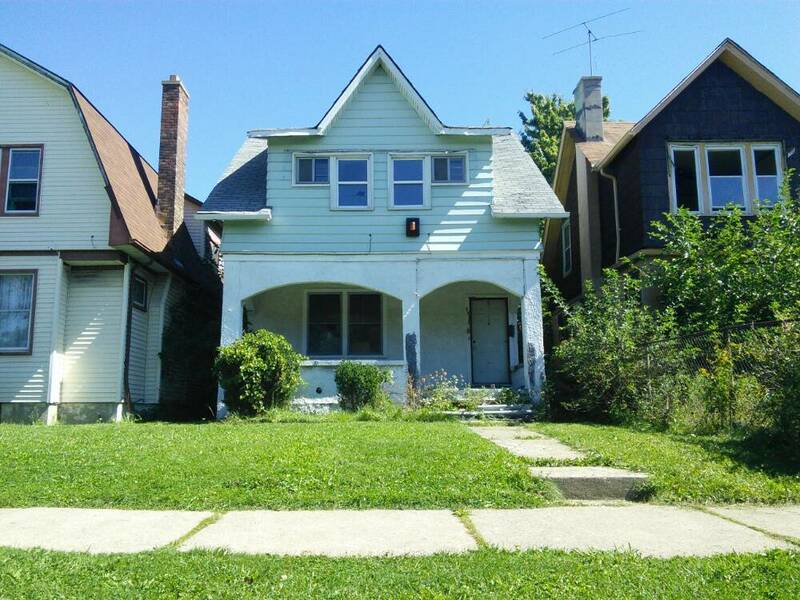 In Round 2 this year, over 6,000 unrelated properties were combined into what was termed a “blight bundle,” in a joint effort by the City of Detroit and the Wayne County Treasurer. The stated intention was to “battle blight in our neighborhoods and continue the progress being made to strengthen our communities.” The off-the-record intention was to ensure the properties made it through the auction without being purchased by anyone else. Even without this manipulation, properties not sold in the auction would go to Detroit’s Land Bank – a public authority that manages abandoned and foreclosed properties until those properties can be reappropriated – and in this way the blight bundle serves to reroute properties that might not otherwise be headed into the Land Bank’s coffers. But if preventing properties from being sold in auction is in the interest of both the City of Detroit and the Wayne County Treasurer, didn’t they have more important work to do than clustering properties together? The land bank has made commendable strides in remediating blight, selling property and holding owners to account, but it should be the owner of last resort. In the end, the blight bundle was the city’s way of following the law without actually following it; the bundled properties were effectively up for auction in name only. First, because they were very expensive – the starting bid was over $3 million – and second, because they come with stringent requirements, such as all blighted properties must be demolished or renovated within six months of purchase, a goal not even the Land Bank could meet. Yet despite these obstacles, someone called the Land Bank’s bluff and actually bid on them. It bears mentioning that the term “blight” itself is a misnomer. Many of the properties in the bundle are actually occupied properties in good condition. Many residents of these properties were vying for the chance to buy back their homes, only to find that they had become part of a package deal with a starting price of not $500 but $3 million. That well-kept homes were swept away in the name of blight remediation adds insult to injury. The Land Bank has a point in trying to go around the foreclosure law – because it’s a bad law. Foreclosure often creates more problems then it solves, especially in the case of occupied properties. Displacing residents in large numbers creates financial and social costs and often feeds the problem of blight that the city strives so tirelessly to fight. But instead of trying to manipulate the loophole, local government needs to work to change the laws that hurt Detroiters, and Detroit along with it. Instead of attacking the problem from the back end by tearing down buildings, Detroit needs to address the problem at its root: keeping occupied homes occupied if reasonably possible. Even if it worked, the blight bundle would be a band-aid rather than a cure. In losing what the Lank Bank likely considered a “sure thing,” the city gets a minor taste of the trauma that Michigan’s foreclosure mandate inflicts on residents and owners on the other end of the equation. It is estimated that 10,000 of the properties in this year’s auction were occupied, and tax foreclosure is growing every year. Now that Detroit’s local government no longer has to deal with the herculean task of managing those 6,000 properties, they might have some free time on their hands to attack this problem at its source. This entry was posted in Detroit, Housing, Non-Fiction, Politics/Social Concerns and tagged blight, Detroit, waynecountytaxforeclosure. Bookmark the permalink.